Anritsu's QuiCCA software is the overall quality management and quality control system for all of Anritsu's inspection equipment. This software supports all aspects of production including past logs, current status and future problems. 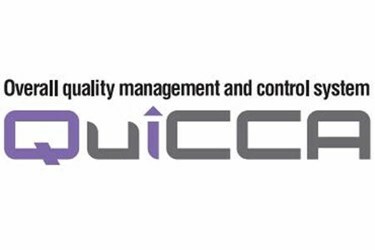 A quality control manager will never have to worry about constantly monitoring status production again with QuiCCA software. Developed with unmanned full automation in mind, when it's connected to a mail server, the machine's status and error messages can be sent directly and automatically to your mobile phone. The quality management system also has centralized control of the operational status of the entire production line, allowing it to conduct causal analysis to detect abnormalities before they even occur. Statistical Display - Check your overall production condition at a glance. X-bar Display - Spot trends quickly. Histogram Display - View production tendency. The quality control system allows you to handle claims from consumers and clients easily and accurately. The software program automatically and chronologically records the measurement data and operation history of production/inspection machines. At Anritsu we make sure our products ensure traceability to enhance reliability in claim handling and response quality. In Japan only, operation checks of metal detectors are required by CCP (Critical Control Point). QuiCCA enhances the credibility of CCP control. Automatically recording the time when an operation check was performed with the product names and information on the workers makes daily records reliable by preventing recording omission and data falsification. 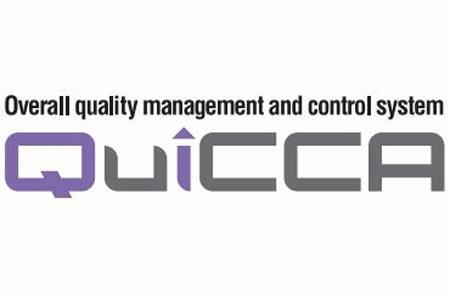 Protect your company, your clients and their consumers with the QuiCCA quality management system. Always stay accurate with Anrtisu's quality control system, QuiCCA.